I thought I would make a thread to the fellow 4Matic owners who may have problems with the front lower control arm outer bushings. I started to have cluncking noises coming from the front suspension whenever I go over little bumps. and after hours of researching and price checking, I decided to go ahead and replace the bushings only (not the control arms themselves). Please make sure to jack the car up safely on jack stands. I used wramps for the rear wheels as well. I used 6 tons jack stands, but you can also use the 3 tons. You will need to remove the 18mm bolt and nut of the sway bar (torsion bar, also called stabilizer bar) linkage to be able to remove the 21mm bolt holding the strut to the bushing. Note that this bolt and nut for the sway bar linkage are of the self locking type that need to be replaced after dissassembly. This is something I regreted not caring about as I did not have the new ones handy at the time of doing the bushing. Check this post here to see the outcome of not replacing them (https://www.benzworld.org/forums/17753306-post5.html). Let me back up here a little bit. Whole control arm replacement is expensive (parts), and very hard (require subframe dissassembly or lifting the engine up, something of that sort). See the service manual pages for the front lower control arm replacement attached to this post. The outer bushing is not sold separately at the dealership. The part number is A2113331914. I decided to go wtih the "LEMFÖRDER 2604401". They are available on eEuroparts as well as FCPEuro and very cheap ($8 each). I had an initial attempt at replacing the bushings (please see my post https://www.benzworld.org/forums/17721884-post8.html) and I could not figure out how I could move the strut out of the way to gain access to the bushings! @amosfella suggested that I could remove the three nuts holding the strut from the top (https://www.benzworld.org/forums/17722232-post9.html). I had another idea that I thought I would try first, which was to compress the coil over spring so the strut lower end can be lifted up to gain access to the bushings (check the pictures below). Unfortunately, this did not work. I ended up removing the three nuts holding the strut from the top. Thanks @amosfella ! And, this turned out to be very easy and did not affect the alignement. In fact, the W211 chassis does not have camber or caster adjustments with OEM suspension parts. So, removing the nuts should not affect the alignment at all! I could then clearly access the bushing and use the tools to remove it. What's that little groove in the hole there? Notice the groove in the OEM bushing's hole? the "LEMFÖRDER 2604401" part did not have one! But I did mark the point where the bushing cut is placed (see picture). I don't think this would even matter but I thought I would insert the new bushing in the same fashion. Unfortunately, I did not have the bushing removal tool handy that day. So I improvised using some cups in a ball joint removal tool with some wrench sockets (1-7/8) inch. 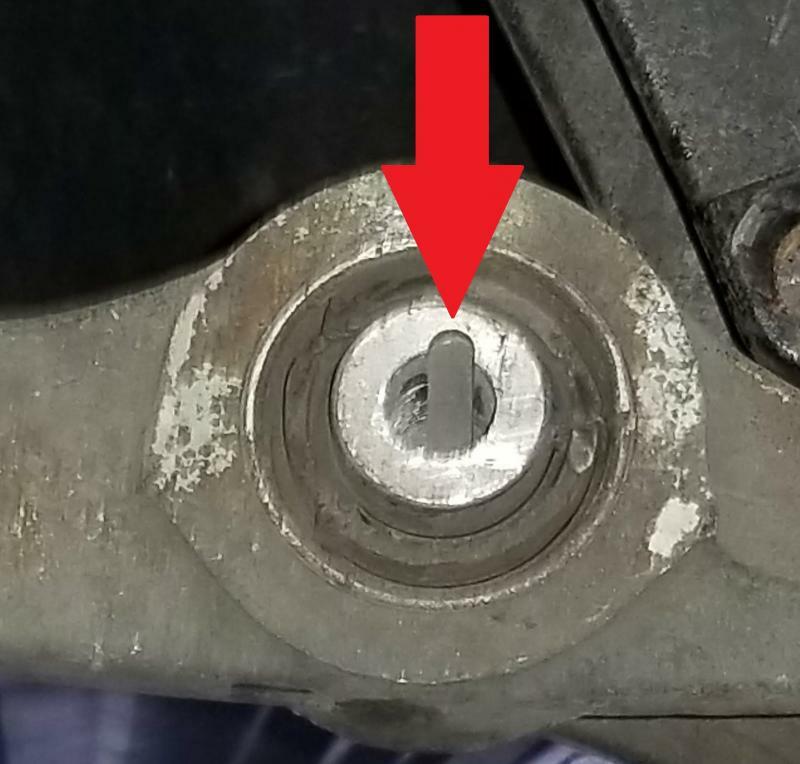 Because the bushing socket is tappered, you should only attempt to "push" the bushing from the rear to the front (with respect to the car that is). You will notice that the diameter of the socket if measured from the rear is 50mm, and when measure from the front is 51mm. The diamter of the cup that should push the bushing should not exceed 48mm so it can fit inside the socket when operating the removal tool. After some muscle crunching and twisting, I finally got the bushing out! Now comes the not so fun part! Since I did not have the right bushing removal/insertion tool, I ended up damaging the bushing to some degree. The cups I used had thin walls and were not the right size for the job. Each millimeter can make a difference here. In addition, it seems I did not get the cup pressing the bushing aligned with the new bushing, which in turn was not aligned with the control arm. In addition, pressing the bushing inside its socket required a lot of torque and any movement while doing so would end up having the bushing inserted "unevenly"! Check the pictures. I ended up using a mallet to get the bushing straight, which ended up bending the outer aluminum shell of the bushing! In addition, even when starting with the bushing aligned with my mark, when it was pressed, it rotated counter clockwise and the busing's shell opening ended up above my mark! The end result turned out to be ok, but not what I wanted. Check the last picture below. I gained a lot of experience from work I did on the driver side (LHS). When I was doing the passenger side (RHS), I finished in less than half the time, and I did not damage the bushing. 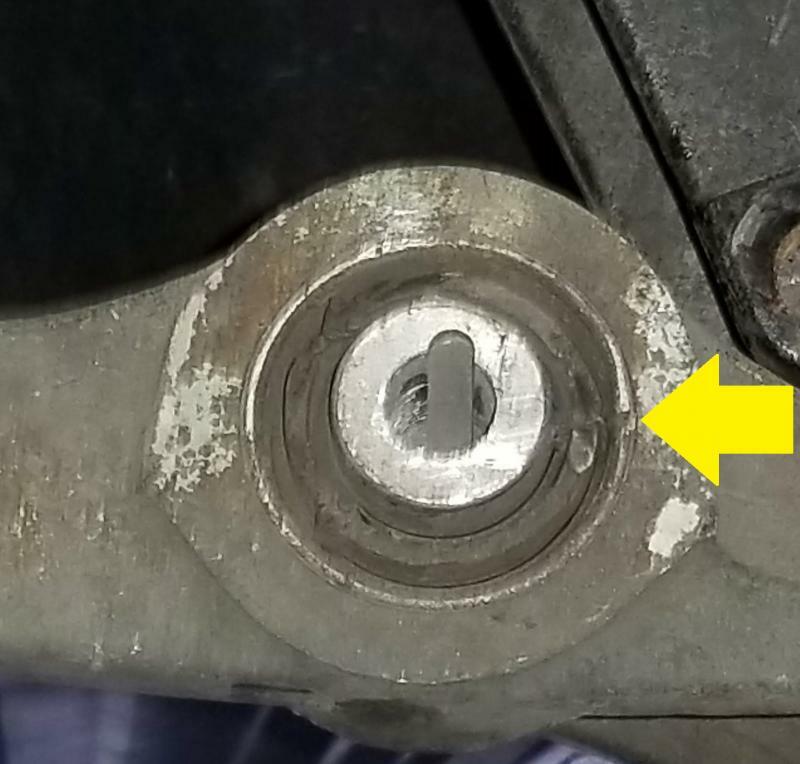 I even discovered a trick to keey the strut lower end fork locked away from the bushing by using an allen key (check the first two pictures below). The final result for the passenger side bushing is shown below. Important note: Tightening the nuts should be to specs and should be done when the car is on the ground. This ensures that the suspension components (bushings, sway bar, etc.) are in the "normal" orientation and are under the "normal" pressure. I am attaching here some service manual pages related to this job for the steps and torque specs. For the expert moderators of this forum, please let me know what you think of this procedure. Any advice, warning, or even a tip I, and others, should be aware of? How on earth did you find the part# for that bushing? I searched tirelessly for it years ago, then ended up replacing the entire arm. Its not shown on the EPC either. Fantastic write with pics and part info. This is on my list for the summer and the post will be valuable.